Tell me about a time when you faced an unexpected challenge as a blogger and how you handled it? Where do you see yourself and your blog in five years? What do you think you could do better or differently as a Blogger? In your personal opinion: How often should a Blogger post to his/her blog per week or month? If you could live on any planet besides Earth, which one would it be and why did you choose this specific planet? Describe your personality as a flavor of ice cream. What superpower would you like and how will it benefit you or what will you do with it? 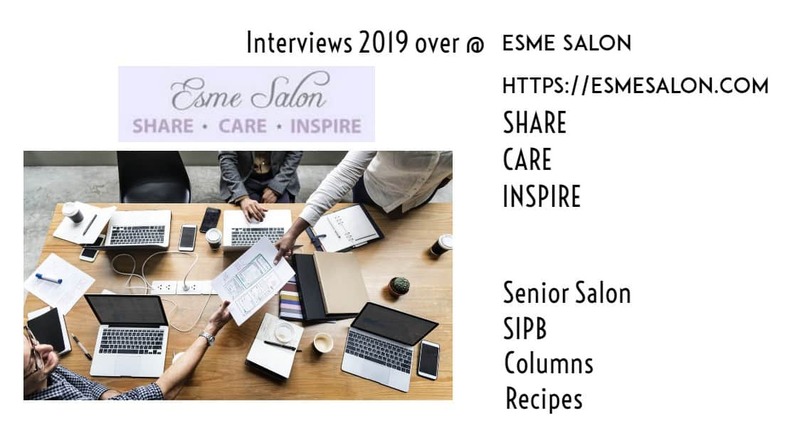 Drop me an email with your answers to the above, as well as a profile picture and a list of your social media links and I will get in touch with you and let you know the expected publication date for your 2019 Interview @EsmeSalon. If you require any further information, please do not hesitate to let me know via the above email address then can discuss it further. I am looking forward to filling this year up with your interviews and to get to know you all better.